Fig. (3) Photographic image of positive cellobiohyrolase (MUC) activity, as indicated by blue fluorescing colonies. 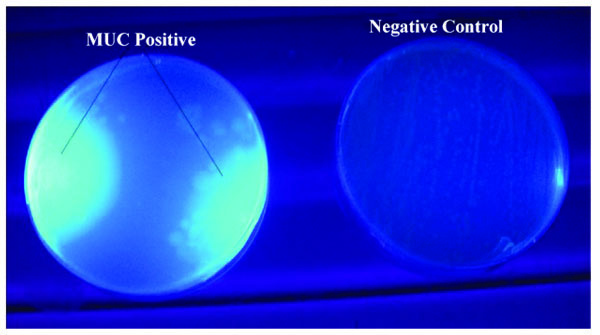 The negative control showed no blue fluorescence and was derived from the colonies showing no positive cellobiohydrolase activities.